My first experiment was trying to use it as SDR radio. it worked surprisingly easy. Just download an image and burn it on a micro SD card and the Red Pitaya was ready for the first test. After installing HDSDR and arranging some settings it worked very nice as receiver and also the TX worked fine. 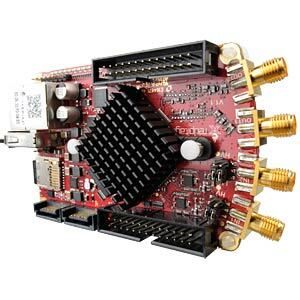 With about 10 mW output power it was a nice and cheap system to use as SDR transceiver with good performance. I decided to try and use it in combination of a transverter to 70 cm but due to lack of time it has not been realised up to now. In December 2016 I read a publication about using the Red Pitaya for WSPR mode and it triggered me as, lets give it at try and find out more about WSPR. 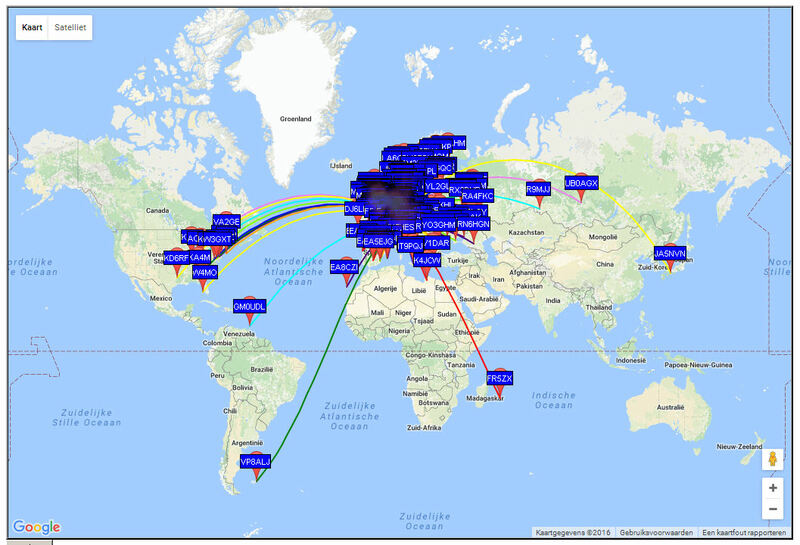 What intrigued me was that it was able to receive WSPR signals on 8 different HF bands at the same time. 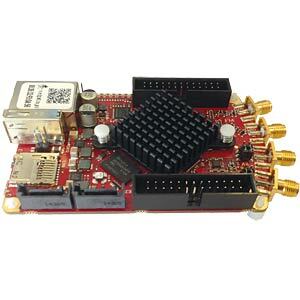 It could also be used as transmitter for WSPR so I started to search for more info. After downloading the software for the red Pitaya and burning the image on the micro SD card I connected it to my brand new build active magnetic loop antenna to see if it was working. I added my call sign and locator in the:decode-wspr.sh file and was looking for some response from the Red Pitaya that is was working. After some time I tried to have a look at the website wsprnet.org and I found at the page: http://wsprnet.org/drupal/wsprnet/map that my Red Pitaya had heard some stations. So it seemed to work and I spend the rest of the day trying to see what was happening. I was really amazed to find that I heard so many stations and also over large distances. The next day I wanted to see if I could transmit WSPR using the Red Pitaya and started looking how to activate the transmitter. This was not so easy because the information on the website from Pavel was not very clear. After looking into the available information I found that the transmitter was disabled by default and I had to do something more than just enter my transmit message. I asked another Ham who had been playing with the Red Pitaya on WSPR and he gave me some help with a command line. When i used that command line the transmitter switched on for the first time but it did not repeat. He also suggested to put the command in the crontab. I looked for some information on Crontab and found some help in setting up a command. After I opened the crontab I entered the command line but after looking at the commands already in the contrab I found the command with an # in front and realised that would perhaps be the way the transmitter was disabled. I removed the # in front of the line and monitored what happened and indeed then transmitter started every 10 minutes a transmission. I had only the power output from the Red Pitaya, about 10 mW, and I added a low pass filter and then connected my HF antenna, a long wire to see if it was heard by someone. After as few transmissions I noticed that it was heard and I decided to leave it on for some time. These stations copied my 10 milliWatt signal on 40 or 80 mtrs, at this moment my system is transmitting every 10 minutes on 3 different HF bands. This is a picture of stations I heard during the first 24 hrs. So for now this is all very amazing and I am trying to make a setup with a better antenna for TX and some more power. 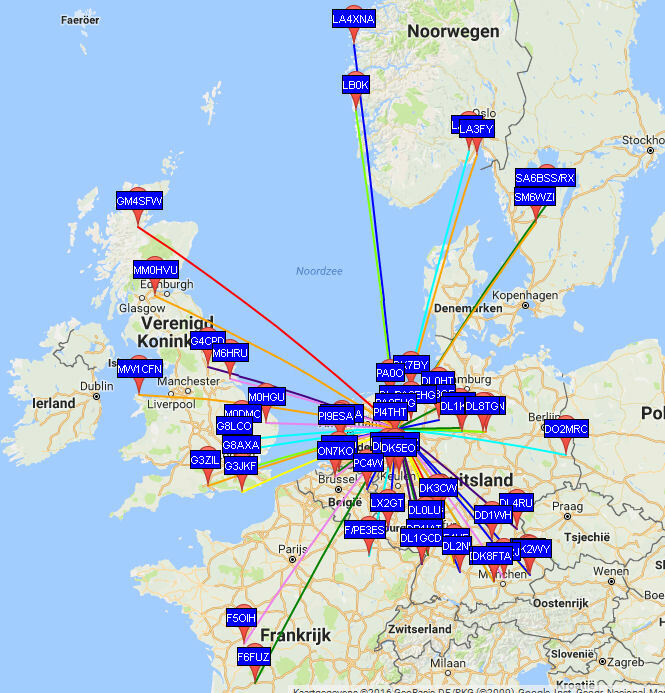 After one day I added some lines in the software to make a WSPR transmission every 10 minutes on 3 bands instead of only 1 band.